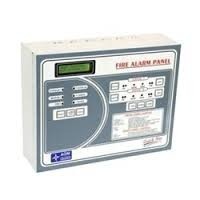 We are provide fire alarm system as per customer requierment and all types of fire alarm system installation and service. Established in the year 2002 as a Sole Proprietorship firm, in Ahmedabad (Gujarat, India), we “Sejal Engineering” are the prominent manufacturer, Trading and supplier of excellent grade Fire Hydrant System And Fittings, Fire Extinguishers, Fire Alarm System, Fire Sprinkler System, Fire Extinguishers Refilling, etc. The offered fire safety products are precisely manufactured under the stern supervision of our adept professionals using excellent grade fire safety products with the help of latest techniques in accordance with set industry standards and norms. Besides, these fire safety products are stringently checked for their quality on various quality parameters before being supplied to our clients for assuring their quality. We provide these products in safe packaging options to ensure their safer delivery at user’s end and long working life. These fire safety products are widely applauded for their features such as long working life, optimum finish, etc. Apart from we also provide Fire Equipment AMC Service.